A firm that has been involved in construction work on several Macau casino resorts has told the Hong Kong Stock Exchange that provisional liquidators have been appointed to try and achieve a restructuring of the group’s business. That might enable its shares to be restored to trading on the market, and help the group to address several winding up petitions it is facing in Hong Kong’s High Court, Hsin Chong Group Holdings Ltd said. Trading in its shares in the Hong Kong bourse has been suspended since April 2017. The firm stated in a regulatory announcement last week that a court in Bermuda – the jurisdiction where it has its company registration – had approved “joint provisional liquidators” to “implement a restructuring proposal” to enable the firm to function on an “ongoing basis”. Macau casino operator Galaxy Entertainment Group Ltd confirmed in an emailed statement to GGRAsia – in response to our enquiry – that Hsin Chong had been involved in some work on the pending Phase 4 of the Galaxy Macau casino resort, but that the work in question had already been completed. The statement did not clarify whether the casino operator had already paid for the work in question, or the sum involved. 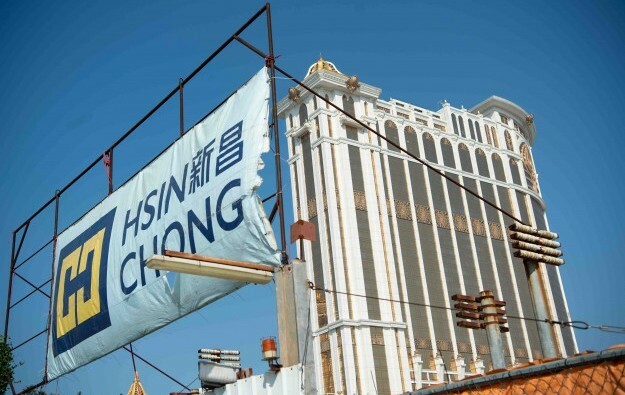 A sign (pictured) showing the Hsin Chong company name was visible on Friday on the perimeter of part of the Galaxy Macau site. According to Hsin Chong’s website, it had been hired by Galaxy Cotai Project Management Ltd to provide 8,800 pilings for Galaxy Macau Phase 4, an extension to the Galaxy Macau casino resort. The latter venue is operated by Galaxy Entertainment on Cotai. The contract for the Phase 4 work was said to include “relevant site formation works” and approximately 20,000 square metres (215,278 sq. feet) of sheet piling. 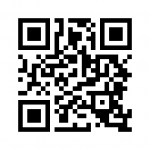 No value for the project was mentioned on the Hsin Chong website. Hsin Chong’s 2017 annual report, issued in May last year, said the Phase 4 contract was part of HKD619-million (US$79-million) in new orders received by the construction division during calendar year 2017. Galaxy Entertainment has previously mentioned Phase 4 as being at a preparatory stage. A note in late October from brokerage Union Gaming Securities Asia Ltd said it thought it “unlikely” that the next stage of Galaxy Macau, Phase 3 – which is not identified as anything to do with Hsin Chong on the latter’s website – would open before the middle of 2020. A Thursday filing said two of Hsin Chong’s units – Hsin Chong Construction Co Ltd and Hsin Chong Construction (Asia) Ltd – had been due to face on Monday in Hong Kong’s High Court, a winding up order respectively from purported creditors Ng Chiu Construction Co Ltd and Kitchen Infinity Corp Ltd. Separate petitions from two other creditors were – as of Thursday – due to be heard on March 13 and March 20 respectively. Hsin Chong had said in a January 22 filing it was in default on US$150-million in 8.50-percent senior notes due for redemption on that date. 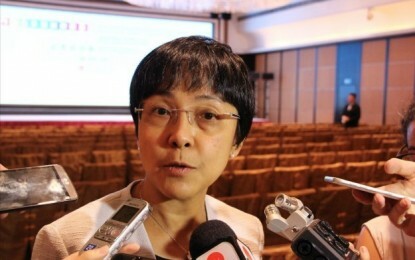 The group’s website stated – regarding its portifolio of work – that it had been responsible for “Macau construction management” on “Venetian Cotai Parcel 3 – The Parisian”, completed in 2016. That was a reference to work on the Parisian Macao casino resort, a US$2.7-billion scheme promoted by Sands China Ltd, a unit of United States-based casino firm Las Vegas Sands Corp. Hsin Chong was also involved in several other Sands China projects in Macau. Sands China’s president and chief operating officer, Wilfred Wong Ying Wai, was recruited in 2015 from Hsin Chong, where he had been chairman and chief executive.